You are about to embark on an exciting journey, one that I’m praying is an encouragement to your heart, a source of wisdom in your life, and a game-changer in your relationship with the Lord. 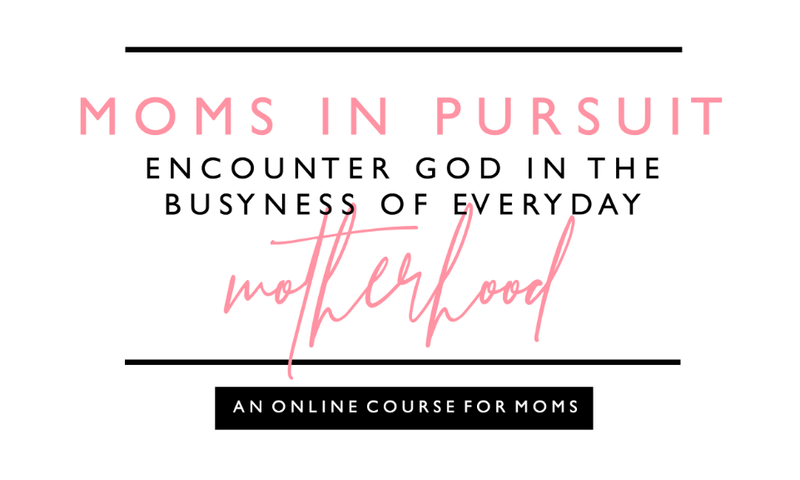 I pray that as you go through this course, your eyes are opened to the Lord’s presence all around you and that you are fueled with passion and joy in your everyday motherhood! Listen, I know what it’s like to struggle to connect with God. I know how discouraging it can be when quiet times are far from quiet, when routines are thrown out the window, and when it feels like theres no time to just be. I know how distant God can seem in those moments, like maybe motherhood is just too demanding or limiting for him to really speak to you or move in your life. But my friend, the Lord is not limited by the constraints of motherhood. I want you to know he is always pursuing you and is able to meet you where you’re at. As you care for your little ones, he is able to care for your soul. And I am so excited for how he is going to care for your soul through this course! If you have any questions or just want to chat, please don’t hesitate to reach out on Instagram or email me at jessie@soulcareforthenewmom.com. I’m looking forward to hearing from you! ✔ Print Your Workbook: even though it’s not required, I HIGHLY recommend using the workbook as you go through each module to ensure you get the most out of each lesson and are better equipped to apply what you’re learning! ✔ Lean into the Spirit’s Promptings: If you are hearing a still, small voice or feeling a tug in a certain direction, don’t ignore it. Investigate it. Pray on it. Ask for confirmation. Refer back to God’s Word. Seek wisdom from mentors. ✔ Reflect and Remember: Take some time for reflection on what this course has meant to you. What has God been stirring in your heart? What have you been seeing in your home as a result? Feel free to use the reflection questions at the end of your workbook! ✔ Celebrate Your Freedom: Pursue God from a place of freedom and confidence, remembering that even when you feel limited, the possibilities for growing in your relationship with God are limit-LESS!